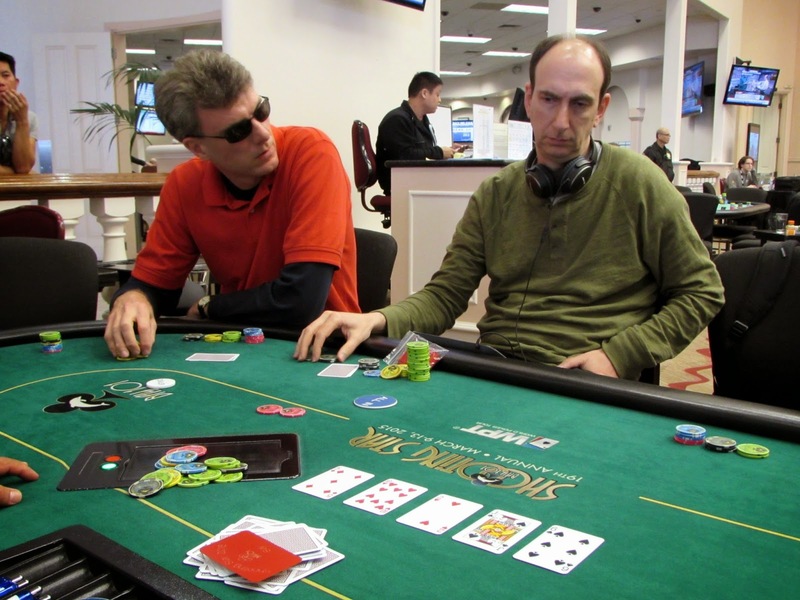 Bay 101 News: Erik Seidel survives his all in... and misses the group photo! Erik Seidel survives his all in... and misses the group photo! While the rest of the Shooting Stars were taking a group photo, Erik Seidel was moving all in. The final board read [5d][9h][2h][Js][6s] and Eric moved all in from the small blind position. His opponent on the button tanked for about five minutes, eventually prompting Eric to call the clock on him. Eric's opponent eventually folded, giving him the pot and putting his chip count at roughly 29,000.